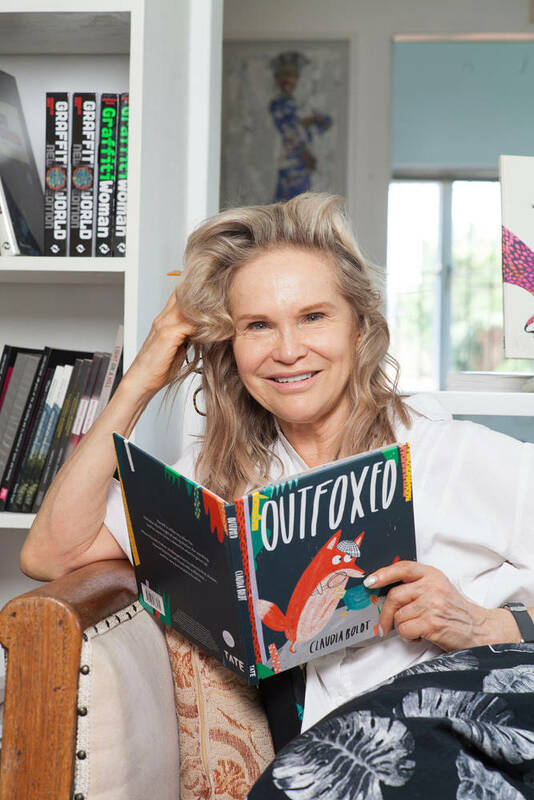 Grethe Fox is a South African actress, probably best known for her role as Harriet in Isidingo, although her preferred medium is film – and her latest is being edited at the moment. She lives in a beautiful old apartment block in Killarney with her husband and, recently, a cat. Grethe has lived in Killarney for more than 30 years after her father, architect Revel Fox, found an apartment in her current building in the early nineties. 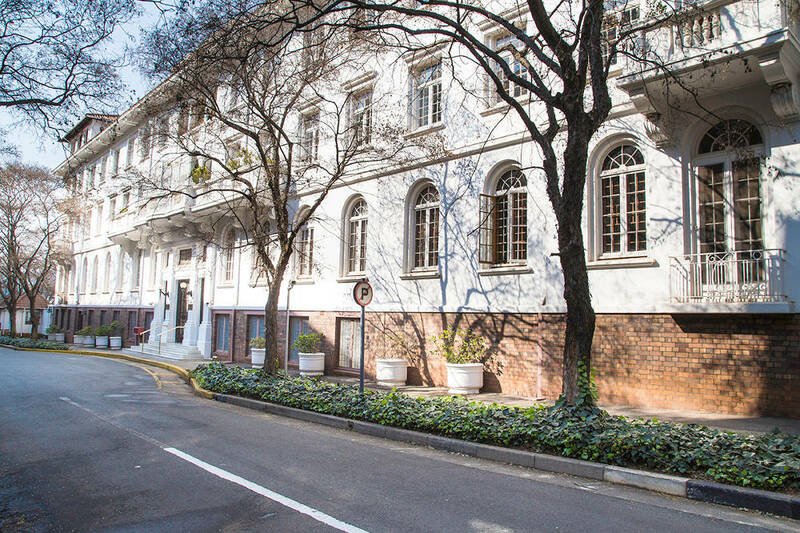 “Dad was working on Bank City in Joburg, staying with friends when he came up (the family lived in Cape Town) but he wanted a pied-a-terre in the city. He was tipped off by a friend and found a woman renting out a flat for almost no money, and then I took it over from him, and have been here ever since,” says Grethe. She says she had grown up in old buildings, even though her father was an architect who designed modern buildings. “He always preferred to live in older buildings. The light and proportions are better,” she says. As the years passed, she bought a flat in the building, then moved in and ultimately married international art collaborator and publisher David Krut. He owned two apartments in the building, knocked through to make one larger space. Grethe kept her apartment as a rental. “We are very happy to live here. Our flat has a north view, so light comes in from the front. And they changed the rules of the building so we could have a cat, and now everything is perfect,” she says. Other than the Killarney Mall itself, there aren’t any retail or restaurant spaces in Killarney. 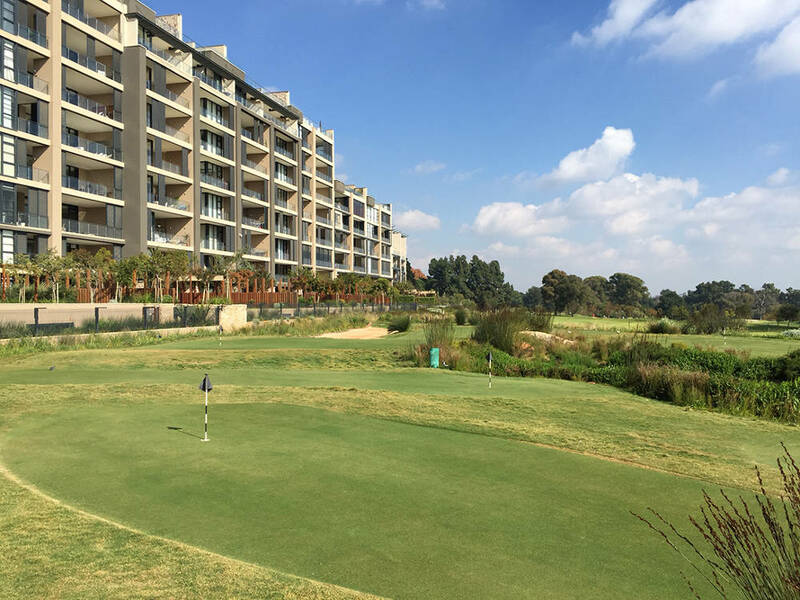 Grethe says she likes the convenience of the mall – especially having an Exclusive Books and Woolworths on her doorstep – but feels that the real benefit of living in Killarney, is its proximity to so many other destinations in Joburg. “When I had just moved into the area, someone said to me, ‘My dear, Killarney is the centre of the universe, and you will not regret moving here.’ They were right. Everything is within 20 minutes’ drive. 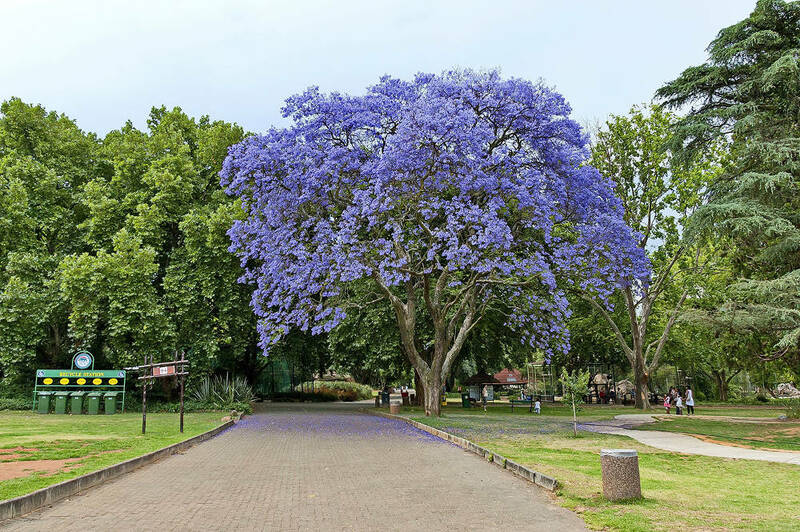 It’s perfect for connecting with the rest of Joburg. 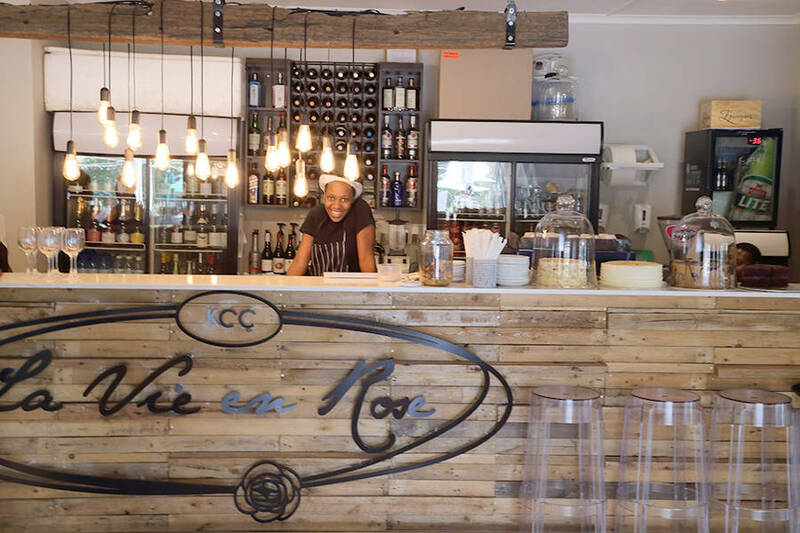 It’s a hop away from Rosebank, Melville, the shopping in Parkview, and to where all my friends live in the neighbouring suburbs,” Grethe says. She enjoys the walk-through Killarney Park and down to the War Memorial and the Zoo. She also likes to shop in the Parkview “village”, where she has breakfast or coffee at My Bread and Butter Cafe & Restaurant or Croft & Co.
“I also like going to Blind Tiger Cafe for a drink – I took my niece from the UK there. And for pasta at Franco’s,” Grethe says. If she’s getting takeaways, her two favourites are Ocean Basket and Taste of Punjab. “My perfect Sunday would be to meet some pals for a brunch – either at home or at 44 Stanley. And then to see the National Theatre live performances at Cinema Nouveau Rosebank or a production at the Market Theatre. Sunday is my favourite theatre time,” Grethe says. For Grethe, Killarney really is the centre of the universe, and her ability to so easily visit the suburbs around her where she likes to work and play, makes her chosen suburb the ideal home for her and David. Explore South Africa’s military history at the war memorial. Check out the Big Five – and a whole lot more – at the Johannesburg Zoo. Get your running shoes on and do a Zoo Trot on the second Sunday of every month. Ramble through the recently revamped The Wilds. 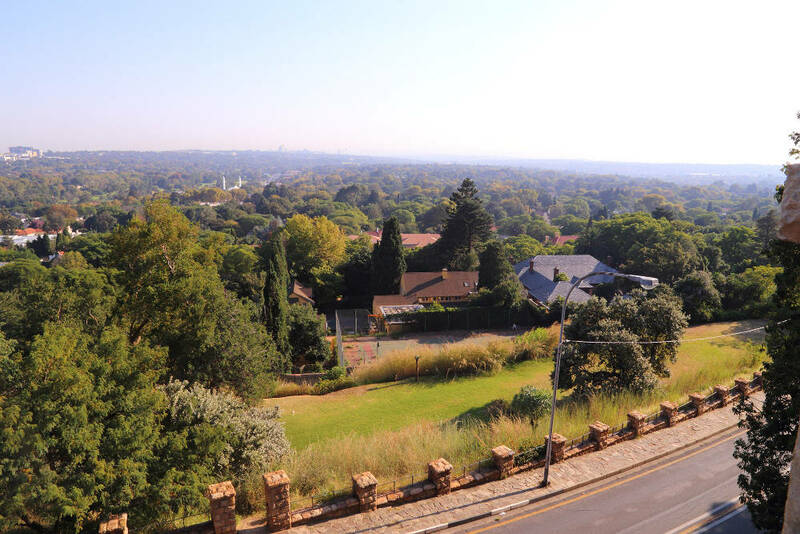 Take in the views over Joburg from the lookout point on Munro Drive. Enjoy some deep relaxation at the Rachawadee Thai Spa.